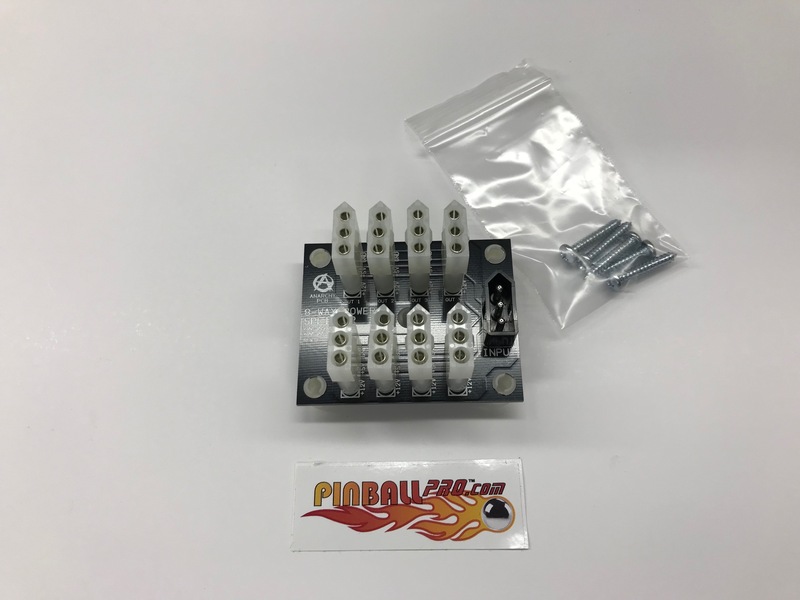 8-way power splitter board for Stern pinball machines using Whitestar or SAM operating systems (1999-2014, from Striker Xtreme through The Walking Dead). 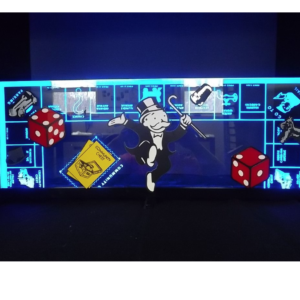 Do you have 4, 5, 6 or more electronic mods in your pinball machine? Instead of having a splitter, connected to a splitter, connected to a splitter, connected to…. you get the idea. Clean up the wiring with an Anarchy PCB 8-Way Power Splitter board! 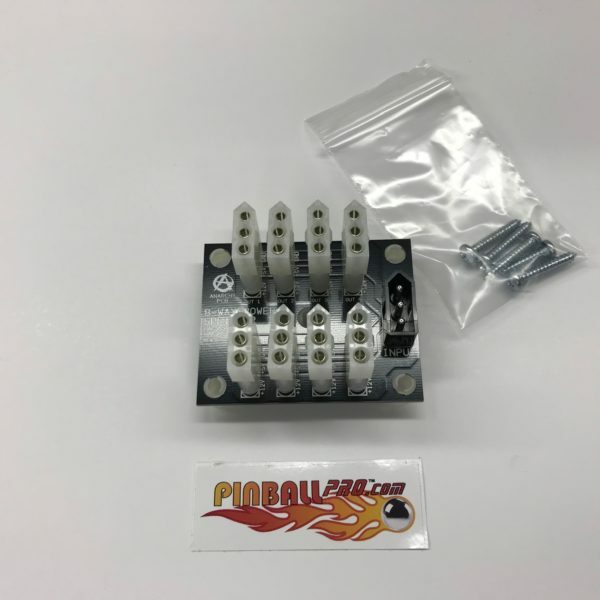 This 8-way splitter board comes with 5 snap in spacers and screws for a rock solid mount to the inside of your cabinet. Installation takes under 5 minutes and requires nothing more than a screwdriver.